A new function is coming to in-car infotainment systems that will allow drivers to pay for gas from within their vehicles while at the pumps. The system is the result of a partnership between luxury car brand Jaguar and Shell. It’s available in the UK from today and will expand to other locations across the world over the course of the year. The “world’s first in-car cashless fuel payment” feature works with new models of Jaguar’s XE, XF, and F-Pace vehicles. 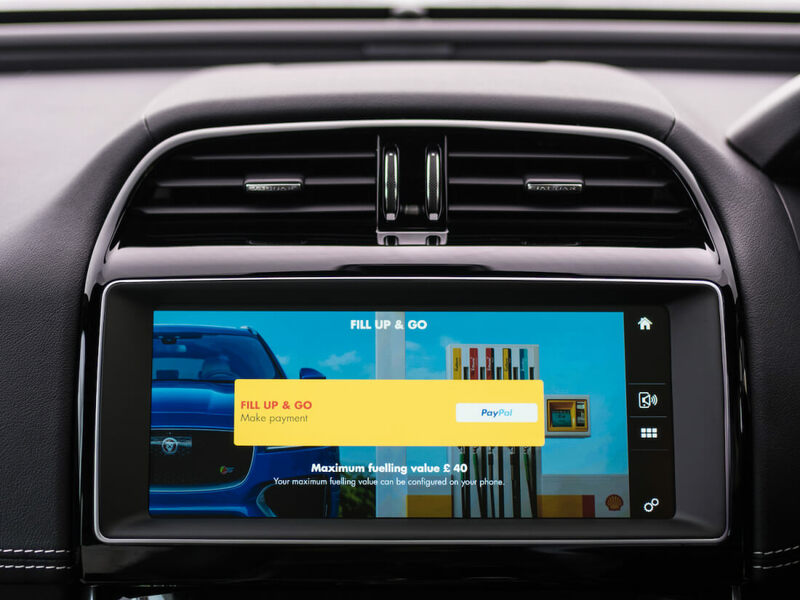 You’ll need either a PayPal or Apple Pay account and the Shell app (iPhone only, the Android version is coming later this year), which is linked to the Jag’s infotainment touchscreen via USB. Once you arrive at a Shell station, it’s a matter of typing in a security pin, selecting which pump you’re at, filling up the vehicle, then confirming the amount on the touchscreen before driving away. You’ll even see a receipt pop up on your car's display and a copy will be sent to your email address. Jaguar says the system differs from other payment technologies because it uses geolocation alongside PayPal or Apple Pay for transactions. While most pumps support credit/debit card payments, the feature should make paying for your fuel even quicker and more convenient, especially when it comes to expenses and tax returns. Jaguar says the tech could be expanded to work with facilities such as drive-through restaurants and parking services. And don’t be surprised to see the system eventually make its way into the infotainment systems of vehicles from other manufacturers.